During the Prohibition Era (1920 to 1933) in the United States there was a ban on the production, importation, transportation and sale of alcoholic beverages. Despite the prohibition, people didn’t suddenly stop producing, importing, transporting and selling of alcoholic beverages! Of course many people during those strange days simply made their own alcohol in the secrecy of their own home. Making your own alcohol is very simple, however getting access to the equipment to do so would have been a challenge in those days. Fortunately for US citizens wanting to make their own alcohol, many enterprising businesses assisted them with their equipment needs. Down here, a large (at that prohibition time) local pottery manufacturing company, Bendigo Pottery, stepped into this niche market and thoughtfully used to export clay demijohns to the United States under the guise that they be used for producing: “Health Drinks”. A demijohn is a very large bottle with a narrow neck, and the traditional purpose of those bottles is for the production of fermented drinks. Alcohol is just one type of fermented drink. 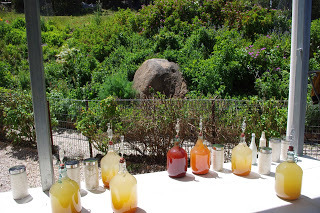 There are other non-alcoholic (or only mildly so) fermented drinks such as: Kombucha; or Apple Cider Vinegar, and demijohns can be used to produce both of those too. 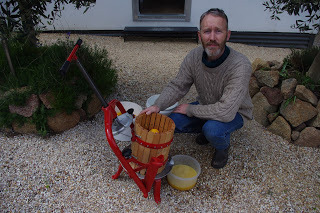 I produce my own alcohol here in demijohns using the excess fruit that I have access too. It is a fascinating hobby and you can experiment using pretty much any fruit, which can provide some wildly different flavours. Strawberry wine is superb for example. Most of the brews work well, but sometimes, let’s just say that the experiment seemed like a good idea at the time (hello carrot)! 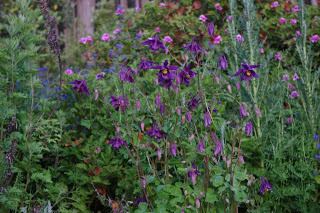 At an open garden recently, the editor and I met a lovely couple who lived in an owner built mud-brick house which was surrounded by a delightful garden, vegetable patch and orchard. We soon discovered that we all shared this most excellent hobby of producing our own alcohol and discussed this fascinating subject for quite a while. At one point in the conversation the lady suggested that the editor and I should run courses on the subject of producing alcohol as people would be very interested. I have to confess that I am reluctant to do that, not because I wouldn’t enjoy running the course and sharing this most excellent hobby, it is just that I’ve noticed that people have some funny ideas about alcohol. The funny ideas that people get baffle me. You see, we produce enough alcohol to be able to enjoy four glasses each per week and that is it. But when people see for themselves firsthand just how large and complex a production process needs to be to achieve that small quantity of four glasses each per week, they disbelieve our story and suggest rather rudely that we are some sort of booze hounds. What baffles me is that those same people would be totally cool and unconcerned if we purchased the same volume of alcohol from a shop and they didn’t have to see what goes into making that volume. You see, alcohol is a fermented product. Fermentation is the fancy name for the process whereby tiny little dudes (yeast) eat the sugars in a liquid. After the tiny little dude (yeast) have feasted, they have to go to the toilet in the liquid and they expel alcohol. Nature just does this process free of charge, and there are yeasts everywhere in the environment. Seriously, they really are everywhere as they help break down organic matter into smaller and simpler components. Bread is a good example of another fermented product and I would have to suggest that the famous San Francisco sourdough bread, is made using wild yeasts captured from that part of the world. The downside to fermentation is that it is a slow process. The yeasts are hungry, but it takes them a lot of time to eat all the sugars. For example, getting a loaf of bread to change from a dough to something you can chuck in the oven (the technical name for this process is: rise) via the activities of yeast takes a few hours. Producing a tasty alcohol can take a whole lot longer. In fact, we tend to age alcohol in the bottle for a minimum of 12 months before consumption as the taste improves with that time. That means that we have to store a lot of bottles of alcohol in the house. I’d been putting off completing the new cupboard which is to be used to hide the alcohol production. There was a good reason for that delay. 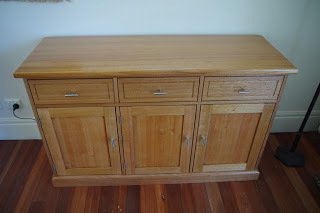 The cupboard was one that we had picked up a few months back and have been slowly repairing since then. However, in that process of repair, I discovered to my absolute horror, that the door cavities were less than square and that the timbers had been so worn over the years that they were not even flat. And those two issues made attaching the cupboard doors a total nightmare. Still, if working on old houses has taught me anything, it is that doors can be attached to almost any surface with a bit of effort so that they eventually look square – even when they are not. 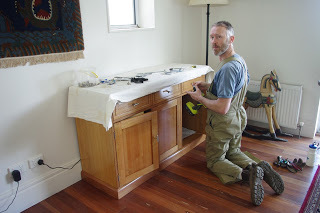 It took three hours to attach those doors, but by the end of that process the new cupboard was looking superb! And from a close glance you’d never know just dodgy those door cavities are. So, the alcohol production and storage facilities are now out of sight for guests. This is a good thing as it avoids the unnecessary judgements and misconceptions alluded to above. And everyone is happier for that! Those funny ideas about alcohol, says so much about those people. To me it looks as if they only have one story running in their mind on that particular subject which says that consumption must be either feast or famine. The idea that someone could set limits on their consumption and then produce to those limits is anathema to them. The other tired canard that I hear from people, even those that should know better, is that because we have free time to work around the farm that somehow we must be growing, dealing or producing drugs. Someone who barely knew me (a new, but now former hairdresser), asked me that very question last week. I was totally outraged by the question because he was totally serious. It is the same funny idea really as the people asking me that question have only a few limited stories running in their heads which say that either: You work full time; or You are involved in the apparently lucrative drug trade. And there appears to be no other options in those people’s minds… It is all a bit sad really as there are plenty of other options for life that don’t involve breaking the law. The fruit press has been (bad joke alert!) pressed into service squeezing the last of the seasons Meyer lemons. It produces copious quantities of lemon juice. The editor and I don’t even bother cutting the lemons up anymore as the pressure from the fruit press squashes the lemons easily. All that lemon juice was used to produce a couple of demijohns of lemon wine and a lemon lava cake. As spring is rapidly coming to a close and summer is looming, the sun is shining very strongly here and producing lots of warmth. I use that warmth to assist with the fermentation process as it speeds up the activities of the yeasts. Most days, I move the demijohns from their new cupboard (The Drinks Cabinet) into the sun. The demijohns have a lovely view into the garden! I mowed about 70% of the property over the last few days and that includes most of both orchards. It was hard going and a lot of walking, and in the next photo you can see just how steep the slope is. 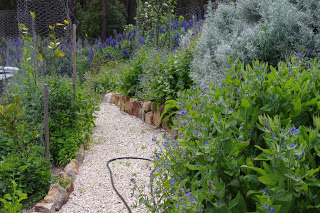 There has been so much sun this week that the defined paths were starting to be outgrown by all of the plants in the surrounding garden beds. So we have also pruned back some of the excess plant growth. 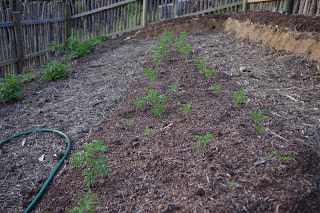 The asparagus bed was cut back completely this week following harvesting advice from a friend. 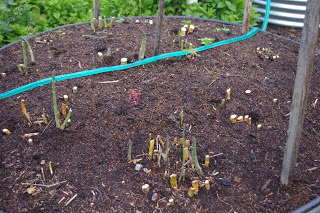 This is the asparagus bed before being cut back. Poopy the Pomeranian (who is actually a Swedish Lapphund) was most impressed with the ruthless cutting back of all of the asparagus spears in that older asparagus bed. 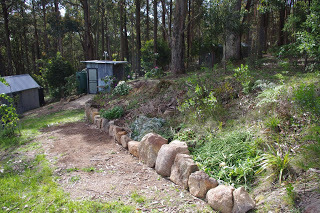 The rock wall near to the chicken enclosure was completed this week and all of the prunings were piled behind the rock wall as fill. Speaking of fill, one of the three raised potato beds, which was the earliest planted out, received a topping up of manure this week. 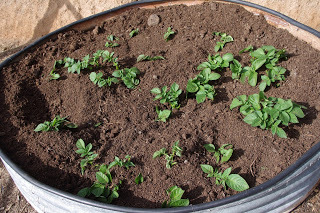 We have never grown potatoes using this mounding method before and it will be interesting to see how the plants respond to the additional manure. There was a spontaneous plant purchase this week. Honestly, who can possibly walk past white strawberries? They are sold here as Pineberries and I have never seen such a thing before. 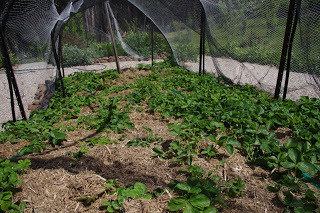 The temporary strawberry patch had a huge quantity of straw placed in-between all of the plants. The straw increases the harvest because it reduces the incidence of fruit rotting on the ground. 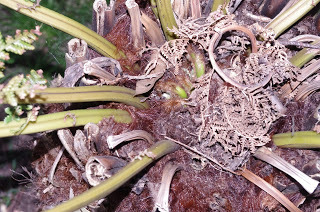 The fruit rapidly rots when it comes into contact with bare soil. Observant readers will note that these berries are described as “straw” and “berries”. About 40% of the tomato enclosure now has seedlings which appear to have become established. 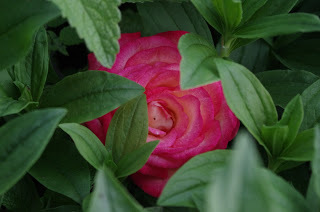 This was a major error on my part as I failed to comprehend the much colder spring conditions this year and failed to harden off the seedlings prior to planting them out in the enclosure. 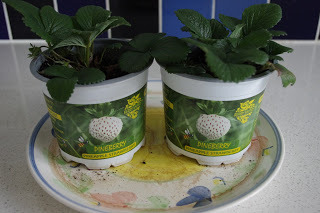 Hardening off is the fancy name for getting young plant seedlings which may have been grown in the cushy warm indoors, ready for life in the cold and tough outside world. This process is achieved by slowly placing the seedlings outside for longer periods of time prior to transplanting them. Last year it was so warm, that that process did not matter. This year it does. Spring has put a bit of extra energy into the marsupials who are usually not very social. 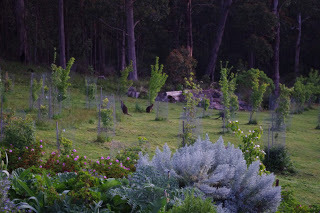 The other evening I spotted four wallabies in one small patch of the farm. The temperature outside now at about 6.30pm is 19.2’C (66.6’F). So far this year there has been 1,069.0mm (42.1 inches) which is up from last week’s total of 1,066.4mm (42.0 inches). It is a truth universally acknowledged, that a small holding in the black, must surely be growing a patch of drugs. That universal truth or question was actually posed to me a few weeks ago by my now former hairdresser – let’s call him Mr Darcy (not his real name). I have to confess that, at first I was rather annoyed by the question posed to me by Mr Darcy. However, as time passed, I became less annoyed by the question and more curious as to why he posed that question and what it actually meant. A cheeky friend helpfully suggested that Mr Darcy was perhaps looking for a supplier, and all I can add to my friend’s witty observation is that we shall never know the truth of that particular matter! There was something about the question that intrigued me as I felt that there was a deeper truth hidden within it, but for a while I couldn’t quite come to grips with that deeper truth. Ever since the question was posed to me, I have been turning it over and over in my mind, until I came to a reasonable understanding of those deeper truths. The day that I had my haircut was a beautiful spring day and I was in good spirits. The sun was shining and the weather was sweet. I’d only just completed my visit to the Queen Victoria Market on the outskirts of the Central Business District of Melbourne. I usually visit that market once every two months or so to purchase all of the fruit and vegetables that I can’t grow here. As an example, it is way too cold to grow peanuts here, and besides when we did try growing them, Poopy the Pomeranian (who is actually a Swedish Lapphund), dug them all up and ate them! What were we talking about? Oh, that’s right: A beautiful spring day. It was a weekday and I arrived at the hairdresser early and they were running a little bit late. I was in no hurry at all, and so I sat in the chair by the window at the hairdresser and watched all of the people walking past on the street and wondered about their stories. I was also savouring the expectation of a coffee after the haircut and possibly after that, a quality hamburger. My gut would soon be filled with quality food and drink and all was good with the world. It was only when the question was posed to me by Mr Darcy that a small dark cloud entered into my consciousness. In its most blunt terms, Mr Darcy’s question was highlighting to me that there is a public perception that it is not possible to make a reasonable income derived from the land on a small holding, and therefore, I must be up to some sort of illegal and also possibly very profitable business here. My conduct elicited so many fascinating questions such as: It was an expensive haircut after all; how was I enjoying it during the week; how did I pay for it; and why was I so relaxed? These were all good questions and honestly, I’d heard Mr Darcy’s trope before from other people, so I felt that I could no longer ignore the deeper truths which people were communicating to me. Arable land in Australia is very expensive. Arable, is a fancy word which means that you can readily grow crops on that land i.e. the land is fertile. The cheapest land available, whether you are leasing or buying – like the block of land that I live on – is usually cheap because it is not arable. The climate may be perfect, the rainfall may be regular, but if the land is not arable, then you will be very unlikely to be able to readily grow crops. I understood this problem when I purchased this block of land as I knew there was no top soil at all here. This lack of fertility in land can be fixed by many different means, but it takes time and also resources such as compost and/or mulch. 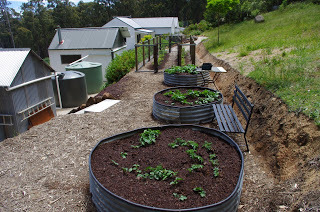 Some of those resources, such as, compost can be free (for example Green Manure crops) if you have the time. However, if you have either a lease or a mortgage to pay for the use of that land, then you may be under pressure to grow something to sell straight away so as to pay for your lease or mortgage. That is not a good situation. As an insight to the readers here, I reckon over the past decade, we have distributed over 500 cubic metres (650 cubic yards) of mulch and/or compost onto this land so as to restore the soil fertility. It sounds like a lot, but in reality, it is about one cubic per week over that long period of time. Even if you somehow managed to obtain your land cost free, you then have to consider what crops you are going to grow and who as well as how, are you going to sell all of that produce? Those questions are no small matters. 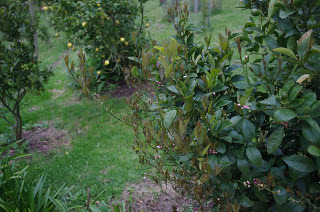 For example this past winter because of the excellent rainfall, I had a huge crop of lemons. There have been hundreds of lemon fruits grown here this year. Lemons generally sell at the market for about $1 each and that equates into hundreds of dollars of income. However, that small income of only a couple of hundreds of dollars of fruit sales during winter is not going to cover any average lease or mortgage payments. And that completely ignores the initial purchase and expense of feeding and maintaining all of those fruit trees during their long and productive lives. However, if you were to consume those lemons and/or find a productive use for the lemons, then you would not have to purchase other food stuffs from an external source which requires money (which has to be earned). I have been converting those lemons into lemon wine and also feeding them to the chickens and they have been enjoying about 5 lemons per day for the past few months. The Mr Darcy character of the Jane Austen story, Pride and Prejudice could well afford a mansion. That character was clearly full of money. Most of the rest of us mere mortals are clearly not full of money, but many of us aspire to live in, purchase, or build a mansion. Last week, I outed myself as a fan of the long running television show: Grand Designs UK. It is a great show and has been running for 17 years now. No doubt Mr Darcy (the original one not the hairdresser one) would have wanted to have been on the show! One of the core themes expressed in that show is that people design houses that are far too big, and generally when that happens the individuals run over budget and end up in debt. In one particular stand out show, the male of the household was an accountant, and the family eventually ended up with apparently 11 different forms of debt just to pay for the construction. I am an accountant and I didn’t even know that there were 11 different forms of debt available to an individual! It was an impressive feat, but the larger question is: Was it worth it? A smaller house is cheaper to construct, cheaper to keep warm, easier to clean, and cheaper to maintain when it inevitably requires maintenance. People tend to understand those concepts in an intuitive sense but then fail to implement them in their own lives. And there is nothing inherently wrong with those alternative choices as long as they can afford them. As Mr Darcy (of this story – the pretender) was cutting my hair and we were chatting away, he was also clearly doing the calculations in his head. And to him those calculations lead him to ask me his rather inappropriate question. 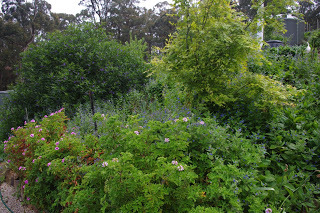 I was so floored by his question that I never really had the chance to explain to him that: We purchased a very cheap block of land that nobody else wanted; We built a small house using our sweat labour; We obtain a lot of energy and water from the resources on this block of land; and we try to consume as much produce as we can which is grown on this farm. It really is that simple. Well, it isn’t really that simple. The weather here this spring has been so variable (massive swings between hot and cold weather) that the tomato seedlings have died after planting them out, not once, not twice, but three times! This week the editor and I held an emergency tomato summit and discussed the various options for the tomatoes this season. 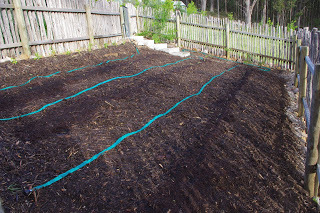 As the weather had been very changeable between hot and cold, but usually cold, the editor and I decided to place large quantities of composted woody mulch between all of the rows in the tomato enclosure. 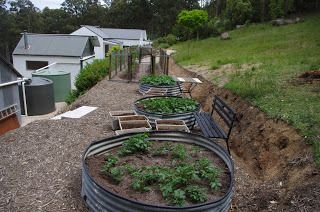 The enclosure required 2 cubic metres (2.6 cubic yards) of composted woody mulch and the purpose of this is to keep the raised tomato soil mounds warm by levellling out the surface. 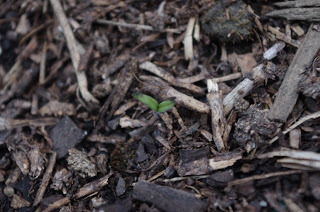 The composted woody mulch has enough bacterial activity that it should keep the soil warmer than it would otherwise be. 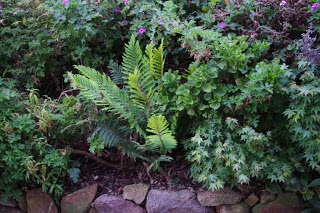 The composted woody mulch should also reduce the evaporation of soil moisture on hot and sunny days. 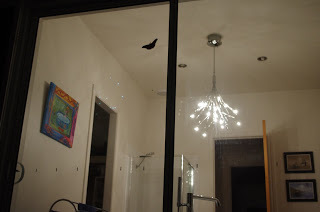 Observant readers will note that a new leaky hose watering system has replaced the overhead sprinkler. 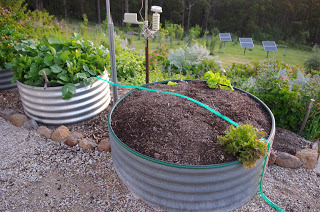 The leaky hose will provide more water for the struggling tomato seedlings. The raised soil mounds were also replanted with tomato seedlings and about 100 tomato seeds were planted into those rows as well. We have decided to hedge our bets and so obtained an additional batch of tomato seeds from a quality supplier. Back to the regular programming! 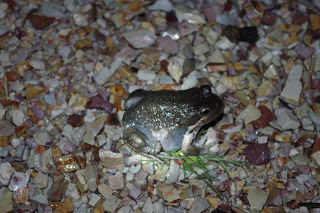 Speaking of Scritchy, we almost walked on a massive toad the other night. The weather had turned back to winter conditions and it was raining. 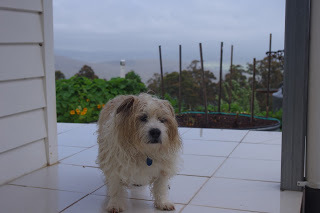 The weather turned really ugly over the past few days as Sir Scruffy can attest, and who in such conditions often resembles a wet mop. 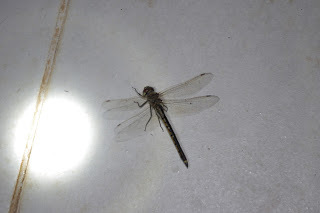 I even spotted a dragonfly sheltering under the dry veranda one night as the rain fell and the winds howled. Over the weekend, in between the rain, I began to clear up the two huge fallen chunks of trees which almost dropped into the orchard a few weeks back. 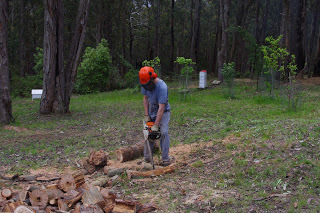 Fortunately, the chainsaw is a handy tool with which to turn those dropped branches into firewood. Firewood as I should remind the readers, is a mostly free energy source if you live near a forest! The mowing is now mostly complete. 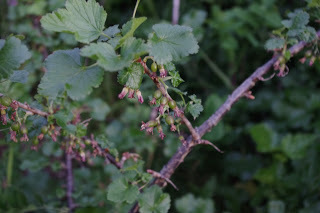 And it has been very interesting to observe just how fast some of the companion plants around the fruit trees grow. 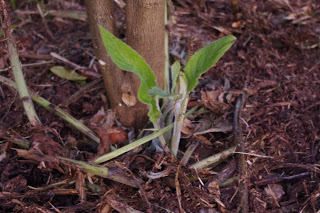 Borage is one of the fastest growing plants and is reasonably indestructible. 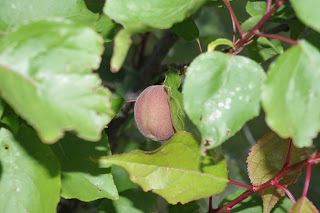 The few apricots that I have growing on the many trees here are starting to swell and ripen. 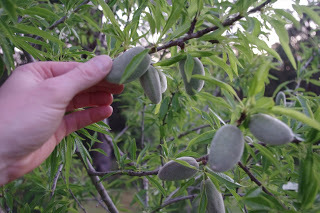 The almonds are growing better this season than ever before! 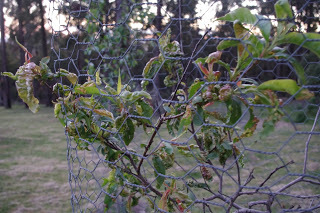 The rain added to the cold conditions has meant that the otherwise hardy peaches and nectarine fruit trees have succumbed to curly leaf, which is a fungal disease. 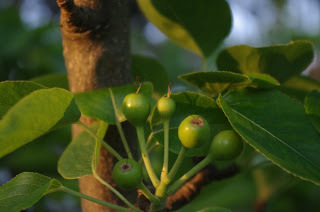 As you can see in this fruit tree, the older leaves will die back, and the fruit tree should recover. 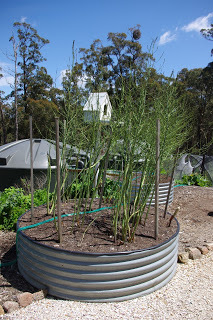 The older of the two asparagus beds has begun to regrow new spears since we cut it back hard last week. We are now harvesting those spears and will continue to do so for a few more weeks. 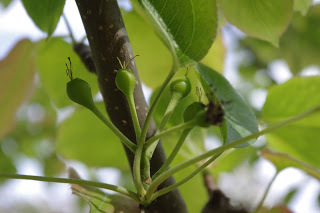 A white sapote fruit tree which is a sub-tropical fruit tree which lost its leaves during the winter as it is far outside its normal range has begun to regrow its leaves. 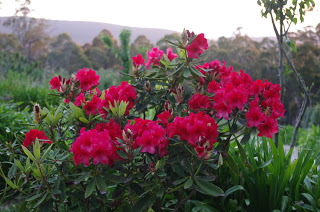 The rhododendrons are looking superb and are putting on a good show of flowers. This one is located next to a sugar maple. 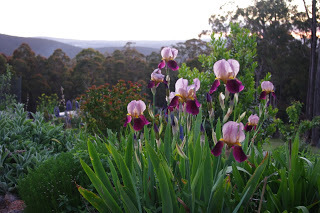 But the bearded irises are some of the showiest flowers around! 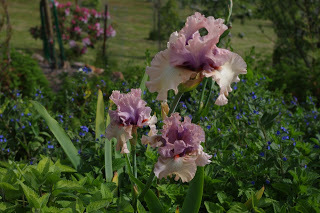 Bearded irises are some of the showiest flowers around! The temperature outside now at about 8.30pm is 8.0’C (46.4’F). So far this year there has been 1,110.6mm (43.7 inches) which is up from last week’s total of 1,069.0mm (42.1 inches). 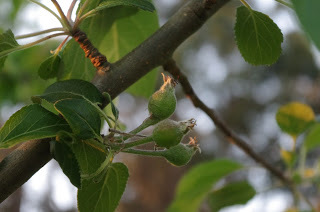 Over three years ago I began compiling a series of photographs showing the growth of the orchard here. Now 700 still photos later, I have compiled those photographs into a short YouTube video. This was the project that did not really want to happen and everything that could have gone wrong, went wrong. Even my computer died this evening! I believe the engineer Scotty from the Starship Enterprise summed it up nicely when he said to Captain Kirk: “The engines can’t take it anymore Captain, they’re going to blow!” And blow up they did and now my computer no longer works. 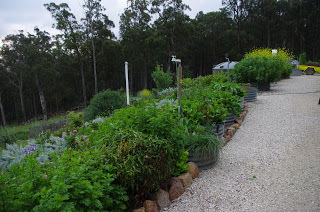 Fortunately here at Fernglade Farm we are undaunted by technical issues and I now bring to you the video: 1,100 days in a Food Forest. I hope you enjoy it! 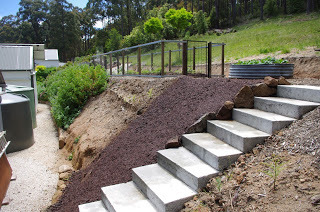 The flower garden on the steep slope next to the potato beds has also commenced. The flower gardens provide plenty of pollen and nectar for the many insects that live here on the farm and they work very hard! 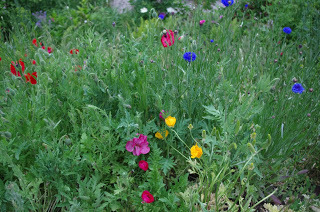 Starting a flower garden involves applying manure to the bare clay. Then that manure needs to get established over the next few months before planting it out with cuttings and plants in early Autumn. Getting established is the fancy label for not doing too much to it other than letting it stabilise. The drain within the chicken enclosure became blocked up. 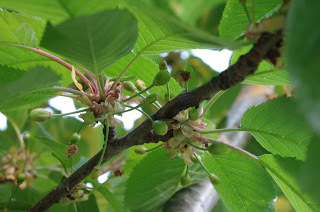 I had foolishly put a bend in the drain pipe so as to direct the water from the drain onto a walnut tree. The walnut tree died and the drain became blocked because organic matter collected in the bend in the pipe. This week I cut the drain pipe, removing the bend and replacing it with a completely straight section of pipe. Now the water flows out of the drain very well. Toothy can be seen in the photo below lending a hand by consuming some of the organic matter blockage which oozed out of the drain pipe! It didn’t smell very nice to me, but dogs will be dogs! If anyone is a bit squeamish, then I suggest to skip this paragraph and the next photo! 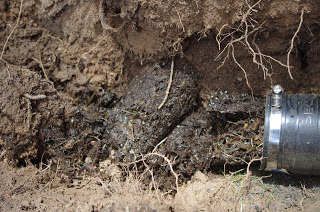 The organic matter which oozed out of the cut pipe was about three feet long. It was kind of awesome to see! Speaking of the chickens, they have been assisting with – is destroying the correct word? 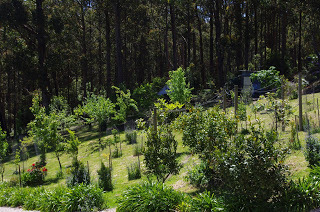 – the new garden bed near to their enclosure. Aren’t they helpful? Roses aren’t the only spectacular flowering plants here, as the rhododendrons are competing with them to see who can put on a better show. I’ll leave judging that to you, the readers! 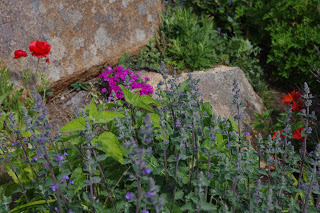 Whilst catmint is not as attractive a flower as either the roses or the rhododendrons, they sure do hold the title for one of the best plants to feed the beneficial insects in your garden. 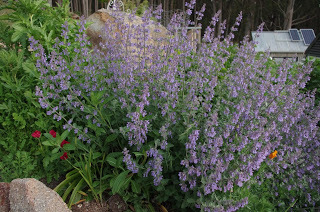 Catmint positively buzzes with bees and other insects all day long. 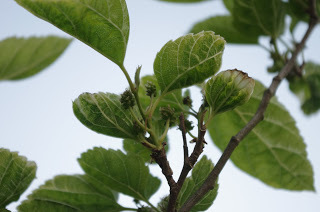 Earlier this season the mulberry fruit trees produced really insipid coloured leaves and I believed that the trees were sick or diseased. 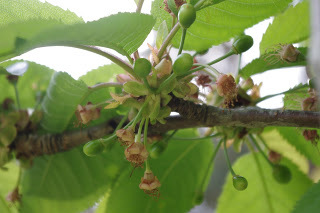 This week, due to the stronger sun the mulberry fruit trees have turned a more normal dark green colour and the fruit is starting to swell and ripen. 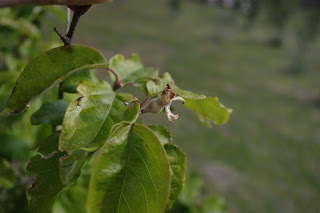 The apple trees appear to be producing a bumper crop this year – and many of them are still in flower. But nothing beats the Asian pears for sheer quantity of fruit. 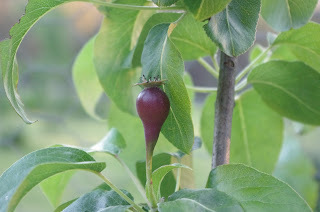 This nashi pear is a very reliable fruit tree. I just have to remember to net the tree before the parrots get to the fruit! The temperature outside now at about 10.45pm is 20.1’C (46.4’F). So far this year there has been 1,110.6mm (43.7 inches) which is the same as last week’s total of 1,110.6mm (43.7 inches). Hey Dude, where’s my Ruth? The word “Ruth” can mean many different things. Sometimes it can be a first name, but in this instance I’m thinking of the definition of the word that refers to the feeling of pity. Pity is something that you don’t hear a lot about these days, and because of that general lack of use, it might be worthwhile recalling what that word actually means: “the feeling of sorrow and compassion caused by the sufferings and misfortunes of others, or a cause for regret or disappointment”. And the opposite of Ruth is where a person is ruthless in that they have no: “pity or compassion for others”. There is a time for ruth and there is also a time for ruthlessness and it is worth considering that there is also a whole lot of middle ground between those two extremities. And it takes discernment and experience to know when to employ any aspect of those two character traits. I’ve been thinking about this recently as my experiences on the farm over the past few years has permanently changed my perspectives in this matter. Scritchy who is the boss dog here, has a minor health matter. I like Scritchy and she has a great life here and she is full of energy and spends most of her days instructing the other dogs in what they can and can’t do and where they should be at any one point in time. Scritchy, however, is an old dog at about sixteen years old. The editor and I took Scritchy to the local veterinary clinic to see what could be done about her minor health matter. The local vet really didn’t know what was affecting her. Scritchy was placed on a course of broad spectrum antibiotics and anti-inflammatories which we strictly followed, and now, to be totally honest, she is not better. Despite the minor health matter, Scritchy is still a very happy dog and she enjoys herself immensely. The local veterinarian (or veterinary surgeon) made me feel like total dirt because I didn’t want to subject Scritchy to a whole raft of tests and observation time so that they could understand what was causing the minor health matter – all at our expense of course. 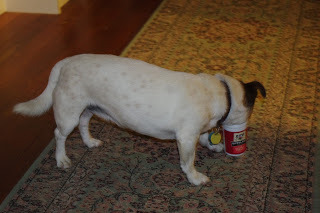 I meekly protested by observing that Scritchy was indeed an old dog and that I wouldn’t be pursuing such options. However, I was still made to feel like dirt for having voiced my unspeakable opinions in this matter. In the past, I’ve subjected older dogs to surgery and from my experience, it is rarely to their benefit. It may extend an older dog’s life, a bit, but they are surely not happy or comfortable about that time. The thing is though, I know from the experience of living here that a season eventually ends. And then a new season begins. That is life and it can’t be ignored or talked around. Some seasons are far longer than others, and this past winter has extended beyond any winter that I can recall. However, the summer that lead into this winter was also far longer and far hotter on average than any summer in my memory. All I know is that seasons end in their own sweet time. An old timer once quipped to me that: “if you have livestock, then sooner or later you’ll have deadstock”. And that old timer is not wrong. I have kept chickens for many years now and I know from experience that when any chicken becomes visibly ill she will generally not recover and most likely will soon die and her season will then end. Occasionally in very rare circumstances, a chicken will recover from a visible illness, but that is rare. Nowadays, if I judge that a chicken which has a visible illness, is not recovering and is clearly suffering, then I kill them out of pity for their suffering. 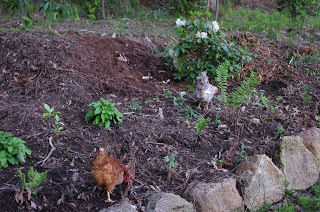 On the other hand, I have chickens that are now at least seven years old and they show no signs at all of slowing down. 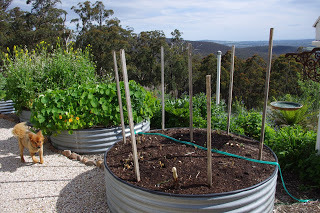 As to the plants – well, a few weeks back I found myself clearing a perfectly good raised garden bed full of winter and spring vegetables (the chickens enjoyed the greens!). 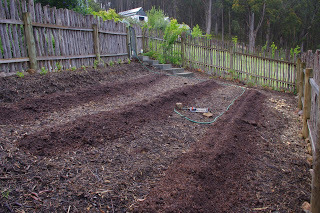 The reason for clearing those winter and spring vegetables was because if I hadn’t done that, then the summer vegetables would not have had the chance to become well established before the serious heat of the summer arrives. Summer vegetables that have not become well established tend to suffer greatly when the day time air temperature in the shade exceeds 40’C (104’F). All I know is that the season for winter and spring vegetables does not extend into the summer down here. The infrastructure and systems here also get subjected to that ruthlessness. Over the years, I have had to abandon or rework infrastructure and projects because they simply did not work well enough. Walking away from a project that you have invested time, as well as physical and emotional resources, takes a level of clear headedness and just plain old ruthlessness. And I have had to do that many times now as both the editor and I have learned from the very hard school of: “trial and error” that some projects and systems here could be better. It just wasn’t that particular project or system’s season! One thing that is improving over time as the seasons go on, is the sheer diversity of life here at the farm. This week a brand new never before seen here at the farm, parrot, turned up to make a special guest appearance. The parrot is an Eastern Rosella. 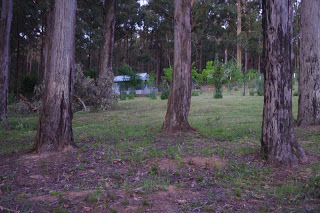 The farm is normally home to a family of Crimson Rosella parrots (which are largely red coloured with blue markings). However, the Eastern Rosella is the sort of parrot that would have been created if a bunch of drunk twelve year olds were allowed to go crazy with a colouring in book featuring parrots and a vast collection of different coloured pencils. This parrot has to be seen to be believed. A red head, white beard, yellow guts, dark blue mid-riff and light green under carriage. Well done, that about covers every colour. 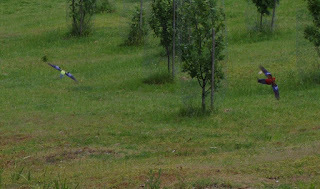 An Eastern Rosella made a visit to the farm this week and I was lucky to spot it and ask the hard question: What the? 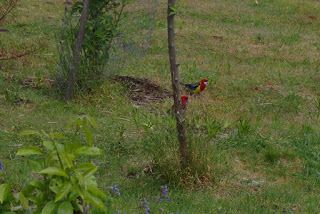 But that clearly wasn’t enough colour for those twelve year olds because as the parrot flew away (who would have thought that something that looked like that was a shy and retiring creature to take flight at the merest sight of a camera?) I spotted a bright green back with light blue and dark blue spots. It is one impressive looking parrot. 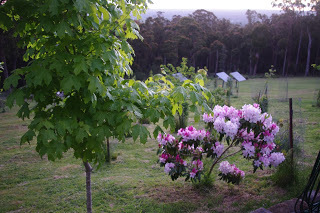 The marginally warmer weather has caused many huge Bogong moths to visit the farm and they are attracted to the house and garden lights. 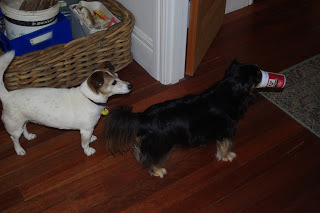 Poopy the Pomeranian (who everyone by now knows is a Swedish Lapphund) and his dodgy mate Toothy the long haired Dachshund are enjoying this time of year because they are gorging themselves silly on the hapless moths. Then vomiting. And sometimes re-eating. In the ongoing crapification saga, this week not only did my computer die, but so too did the weather station. Now I have to out myself here as a complete weather nerd and the weather station was 100% crucial to this most important hobby of mine (i.e. weather nerd!). Anyway, the computer was fixed at great hassle and expense in both time and money. But, even more importantly a new weather station was installed. Excellent! New weather station! Yay! And even better the outdoor measuring unit thingee looks like the Starship Voyager, or perhaps a tug boat. I’m not sure which one really. 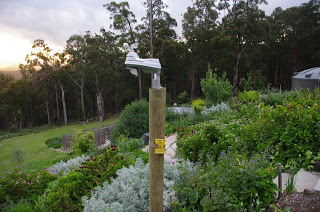 I took the opportunity to locate the new outdoor measuring unit thingee a bit further and deeper into the garden bed and mounted it on a sturdy treated pine post which was cemented into the ground. 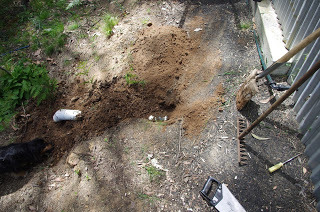 Speaking of ruthless, I had to hack away many plants in order to clear a spot for that treated pine post. 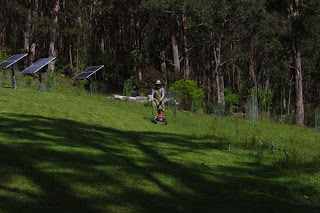 We also installed a run of 12V cable from the current machinery shed up the hill to the next higher terrace where the recently completed berry enclosure and raised potato beds are located. 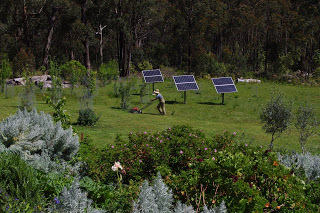 The 12V power will eventually be used on that terrace to power a water pump. The cable is protected from damage and water ingress by the orange conduit. 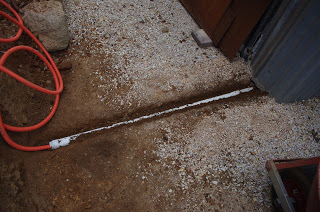 However, where the cable runs under a pathway, it is also encased in PVC piping for extra protection. 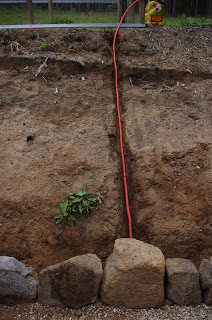 The cable then runs up the garden bed in a deep trench cut into the side of the hill. We used some steel plant pegs to hold the orange conduit which contains the 12V cable firmly down to the ground. 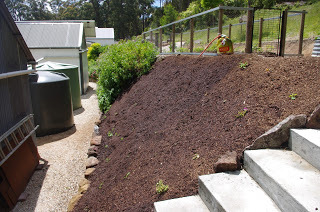 Then a cubic metre (1.3 cubic yards) of mushroom compost was placed onto the side of the garden bed. 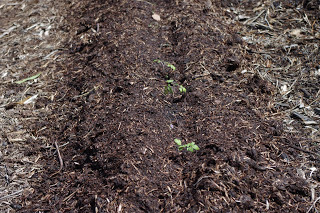 We even managed to plant a whole lot of chance seedlings into that mushroom compost. 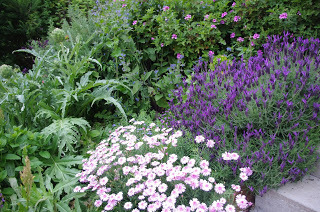 In another year the garden bed will look as if it has always been there. In breaking tomato news… Two new tomato seedlings germinated on the one very hot day last week before a massive storm hit! We now have at least ten tomato plants growing. Yes, things are that bad for the ongoing tomato situation. One year ago and this month, the tomato enclosure looked very different. It is a timely reminder of the differences in each season. 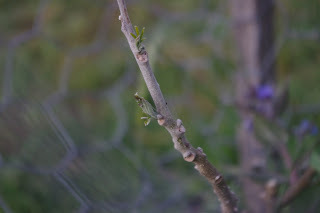 In other plant news, as we had one hot day earlier this week, the citrus responded by suddenly regrowing leaves on the many branches where the wallabies had consumed all of the leaves a few months back. The globe artichokes are just about ready to harvest. Globe artichokes are fiddly to eat, but they taste very good. Anyway, these globe artichokes are surrounded by flowers and I reckon it looks quite good! Poppy-gate has become an even more complex scenario this week. 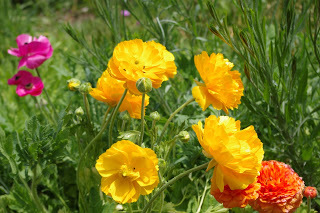 Long time readers will recall that Poppy-gate refers to the accidental purchase of a truly epic and quite expensive seed pack of poppy seeds. Anyway, mixed in to all of that riot of colour that is now Poppy-gate, are many vivid blue corn flowers. Go figure that one out. How did they get there? 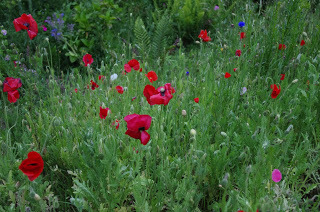 In other areas, the poppies are an almost solid bank of red flowers with the occasional pink flower. The temperature outside now at about 8.30pm is 16’C (61’F). So far this year there has been 1,140.8mm (44.9 inches) which is the same as last week’s total of 1,110.6mm (43.7 inches).